Three painting booths offer color blending systems for standard or custom painting. 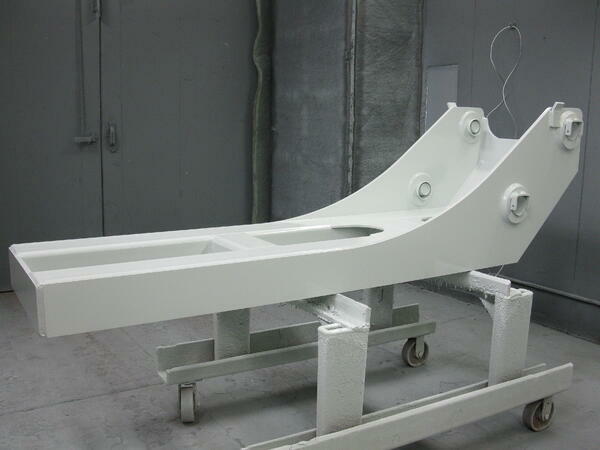 Each booth can be loaded with six colors (additional pots can be added for complex custom projects) and can paint parts and components up to 50 feet in length. 530" x 201" x 132"
535" x 231" x 98"
472" x 162" x 84"
Looking for professional part painting services? Contact us today to learn more.